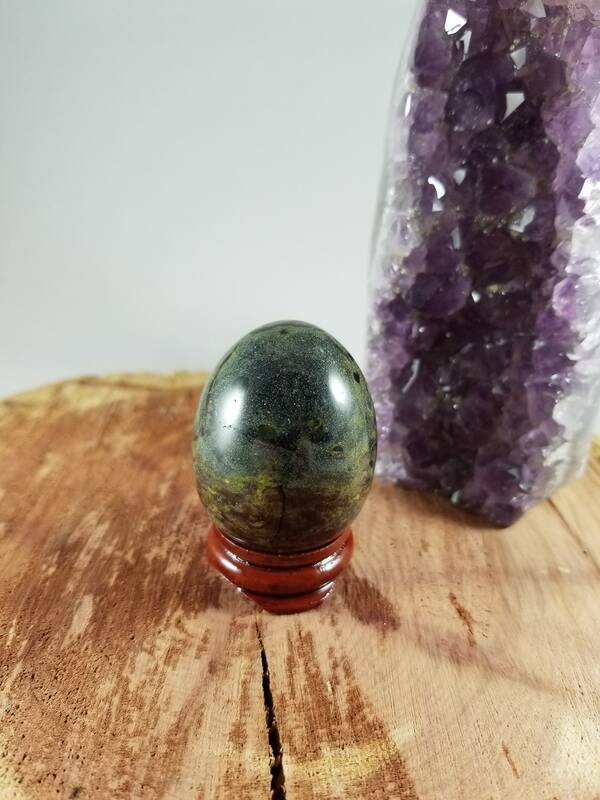 This is a Gemstone Yoni Egg measuring 44 mm by 33 mm at its widest, and it stands about 1.9"
This size would be considered medium/large. 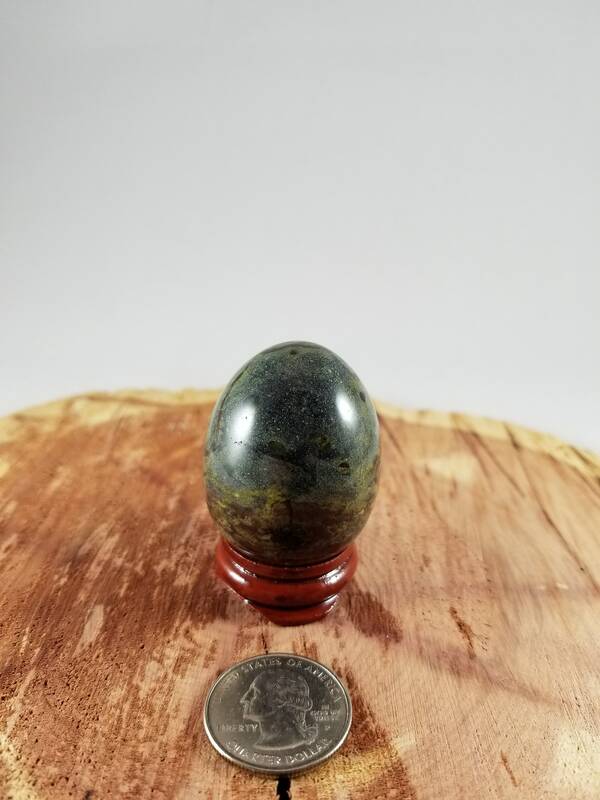 This stone is NOT drilled. So happy with my purchase! 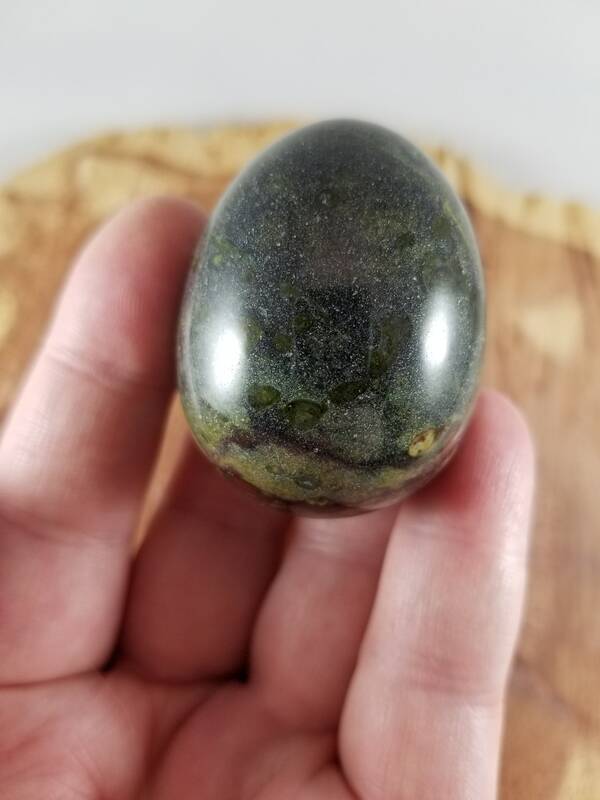 The egg is stunning and the seller was so kind. She answered all of my questions and my egg came with instructions/tips and an extra little surprise. I will be ordering all my yoni eggs here from now on! 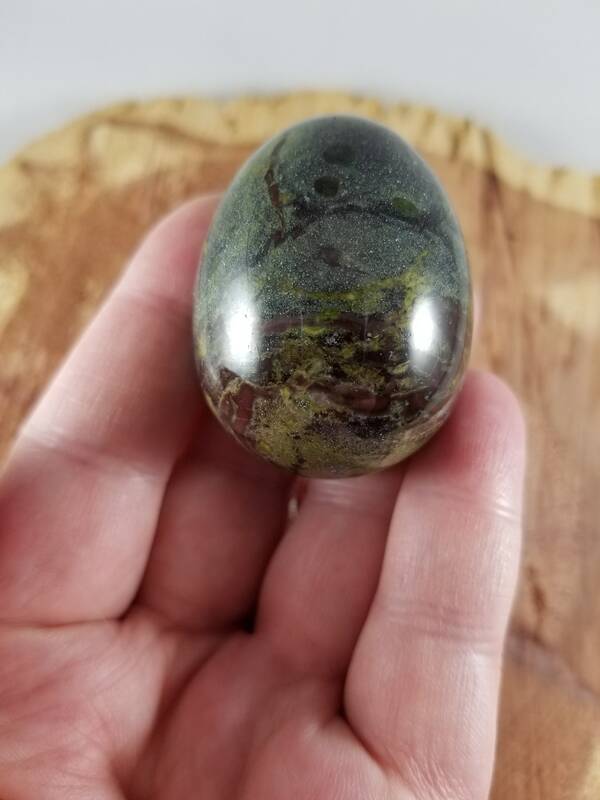 I couldn’t be happier with my beautiful bloodstone egg. Thank you for your amazing customer service. Highly recommend!